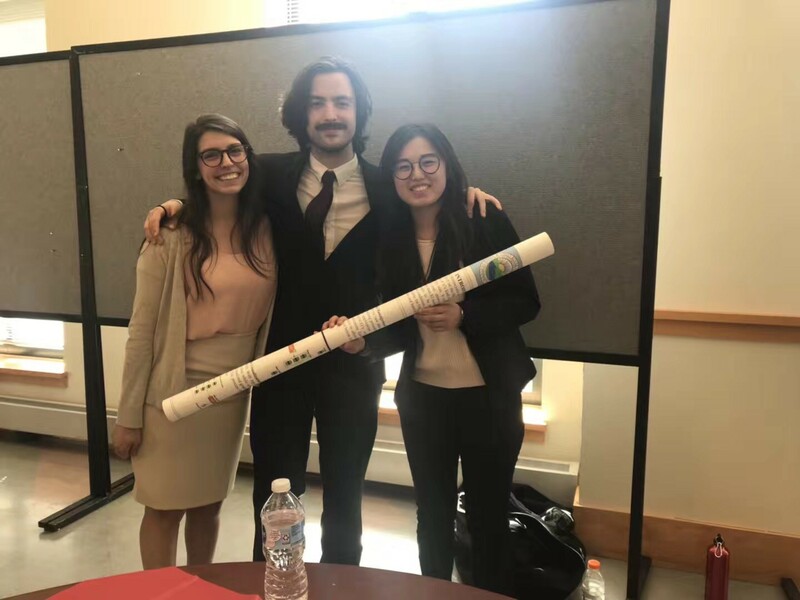 The Data & GIS Collab would like to congratulate Environmental Engineering Seniors John Myers, Xi Ru, and Celeste Bauer on their award winning capstone project. The project entitled “Ohio River Harmful Algal Blooms: Indicators and Real Time Monitoring” resulted in the design a geographic web application that tracks and updates river conditions from sensors set at multiple points along the Ohio River. Collab Students Shiyu Gong and Jenny Latessa worked with Ms. Ru as she investigated various web mapping tools for her team to use. This is one of several web mapping projects the Collab has consulted on recently and shows growing interest and applications for this type of mapping. It is a great pleasure for the lab to be involved and to gain knowledge about new tools and techniques. We congratulate John, Xi and Celeste on their hard work and great ideas and wish them much success in their future endeavors.